Zombie Leader will infect Super Megafest once again by spreading good deeds! 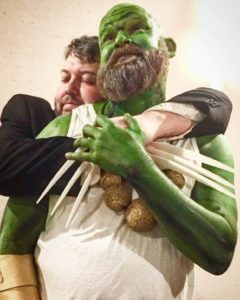 Being a geek, an artist, a Cosplayer, and an autograph & memorabilia collector as well as a former educator, Todd, as Zombie Leader, used his unique skill set and interests to raise over $25,000 for The Leukemia and Lymphoma Society CT-WHV Chapter. His campaign was both fun & unorthodox as cosplay played a vital role in fundraising at comic cons throughout New England. Zombie Leader is known for his irreverent, body positive Cosplays. He also is known for simply having fun especially with awkward Prom photos. And he believes cosplay is for everyone. Don’t have a cow, Man. 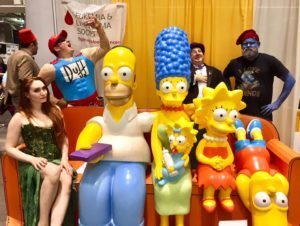 Zombie Leader is bringing The Simpsons Couch of RI for a charitable photo op to Super Megafest. Your DOH’nations will benefit The Leukemia and Lymphoma Society.